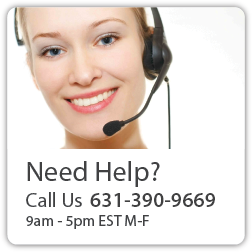 Farmingdale, New York (January 2014) – MediNutritionals Research LLC announced the recent addition of two new formulas to the Patient One MediNutritionals line of science-backed dietary supplements, available exclusively through healthcare professionals. 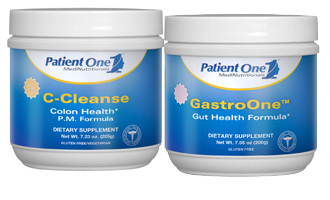 GastroOne™ Gut Health Formula supplies comprehensive support for gastrointestinal (GI) health and function. GastroOne combines over 10 synergistic, science-backed natural ingredients known for their beneficial effect on GI tract health: L-Glutamine, N-Acetyl-D-Glucosamine (NAG), Deglycrrhizinated Licorice extract (DGL), Aloe Vera, Slippery Elm, Marshmallow root, Fenugreek, Mucin, Methysulfonylmethane (MSM), Chamomile, Ginger, Quercetin, FiberAid® (Larch tree Arabinogalactan), and Zinc L-Carnosine. C-Cleanse is a comprehensive fiber-based cleansing and colon health formula. A potent 5000mg of Psyllium husk powder is combined with Patient One's Proprietary Cleanse Blend including Papaya, Peppermint, Buckthorn, Celery seed, Bayberry root, Rose hips and Apple pectin powders to support the body in ridding itself of accumulated toxins. C-Cleanse also supports bowel regularity and helps maintain healthy intestinal function. It is presented in a pleasant natural orange flavor.